Stella Wong appeared on Show 174, recorded in February 2008, at age 13. 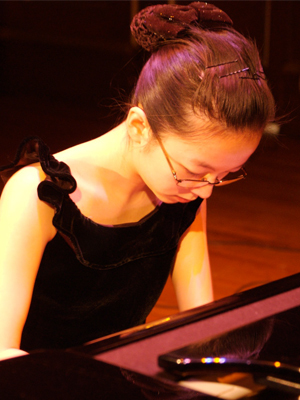 Stella Wong (piano), 13, a recipient of From the Top’s $10,000 Jack Kent Cooke Young Artist Award, knew she wanted to devote her life to piano after her very first lesson. She has studied at the Aspen Music Festival and School and participated in the Puigcerda International Piano Competition in Spain. A student at Hunter College High School in New York, NY, she loves reading, writing, running, and swimming. In addition to receiving the Young Artist Award, Stella also received the Jack Kent Cooke Foundation’s Young Scholars Award in the same year. Stella is a Jack Kent Cooke Young Artist.